Steve Simpson is the Director of Legal Studies at the Ayn Rand Institute in Irvine, California. He writes and speaks for ARI on constitutional law, freedom of speech, campaign finance and other legal topics. 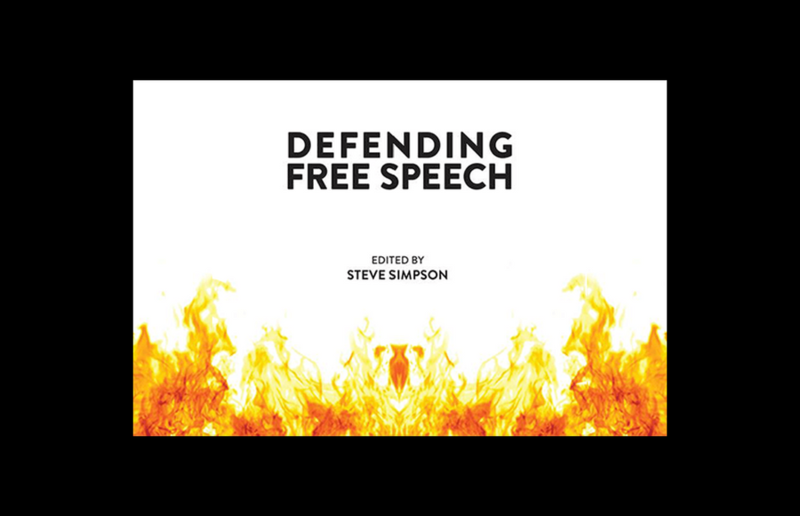 The Undercurrent’s Contributing Editor, Jackson Cassidy, had the pleasure of sitting down with Steve recently to discuss his newly-released, co-authored book, Defending Free Speech, and the current state of the First Amendment on American college campuses. I’m a constitutional lawyer, I graduated law school in the mid 90’s, clerked for a federal judge for two years, and then went onto private practice for a big law firm for four to five years. From there, I went on to the Institute for Justice, a public interest law firm that litigates constitutional cases against the government on behalf of individuals to protect individual rights, economic liberty, property rights, etc., I worked for close to thirteen years there. I was involved in a number of cases, including several at the U.S. Supreme Court. From there, I decided I wanted to get into policy work, so I moved to the Ayn Rand Institute in 2013. I discovered Objectivism after college. I graduated and soon realized that I didn’t know much about the world or what I wanted out of life. My father had always stressed that everyone needs a philosophy, so I decided to figure out what mine was. My brother, who was very interested in Rand, had given me The Fountainhead and a few of Rand’s other books. One day I started reading The Virtue of Selfishness. I found it fascinating, but there was much I didn’t understand, so I decided to read The Fountainhead. I was hooked from the first page. After The Fountainhead, I burned through her other major works. I worked close to where I lived at the time, so I would go home for lunch and read Ayn Rand while I ate, go back to work, come home and read her after dinner. I became hooked in my 20’s, and basically read everything I could find by and about her. I attended lectures and one conference back then, but as my legal career developed I focused more and more on that. But I remained committed to the philosophy and was really interested in learning the ideas and applying them to my life. 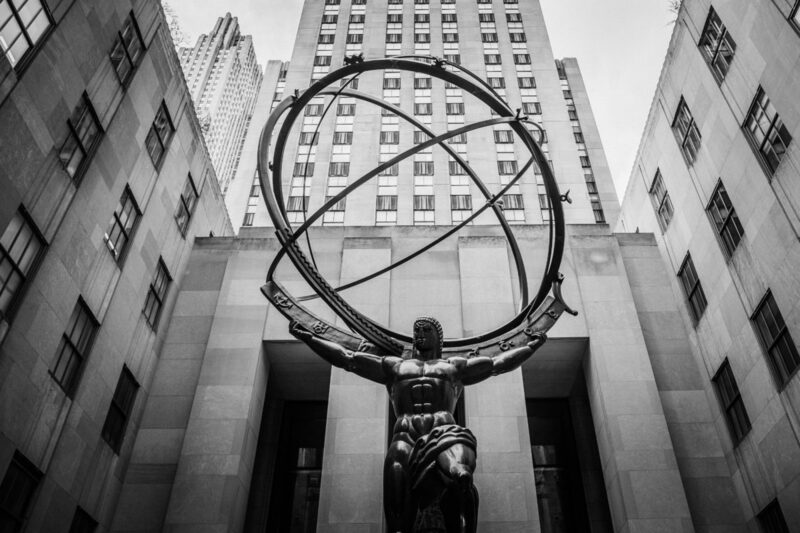 How do you apply Objectivism specifically to your career? There’s a lot I could say about that topic, but I’ll focus on two major ways in which the philosophy has benefitted my career: one is mental and conceptual clarity. Objectivism stresses the importance of thinking and the fact that you can improve you thinking. It is very much a philosophy of how to think properly. Understanding that and the importance of figuring out what you think, why you think it, and how to ground your thinking in reality was invaluable to my career in law. The second benefit is Objectivism’s emphasis on moral clarity and confidence. For example, knowing that freedom is moral, and that it is possible to achieve a free and moral society was so important to me, especially being a lawyer arguing against improper and immoral laws. Knowing that my client was not only right legally, but morally, was very empowering and made me able to do the kind of work I did as a constitutional lawyer without becoming discouraged. 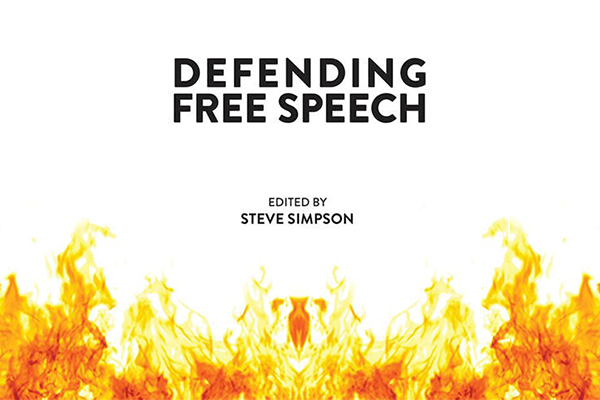 You recently came out with a new book, Defending Free Speech, which is a collection of essays edited by you and written by many Objectivists including yourself, answering some of the toughest contemporary political questions involving the freedom of expression. Can you tell me a little bit about the book? 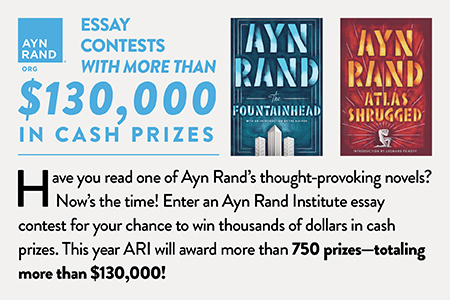 Will the content relate to what you’ll be talking about at the 2016 Ayn Rand Student Conference? Yes! So the raw material for my talks on Saturday at the conference are from this book. One will be on the relationship between freedom of speech and free will, the other will be a panel called “Safe Spaces and Trigger Warnings: Free Speech on Campus”. Joining me on that panel will be Nico Perrino of the Foundation for Individual Rights in Education and Jason Hill, professor of philosophy at DePaul University. The basic premise of the book is that free speech is under attack today. The culture of sensitivity that prevails on campuses today is a good example of the threat to free speech. It’s a product of the ideas college students are learning these days from professors that have been teaching on these subjects for over a generation now. We are now seeing the consequences of a lot of those bad ideas that were pushed in the 60’s and 70’s. Another thing I’d like to mention is that one goal of the panel is to get feedback from the students themselves. We want this to be interactive; we want to hear about their experiences on campus. I think it’s going to be great for the students, but I also want to learn something as well. I’m working on a new book on free speech, and its important for me to hear the views of young people who are actually experiencing the attacks on free speech on campus today. They’re obviously closer to the facts than I am. Why talk about free speech? How does this apply to students’ lives on campus, and why should they care? Free speech is absolutely essential for a free society, yet it’s constantly under attack today. There are three segments of society in particular that are behind the attacks: Intellectuals, government and students. Intellectuals are, at best, ambivalent about free speech, at worst, opposed to free speech. You can see that in a lot of discussions about free speech on campus these days. You can see it whenever there’s an attack by Islamic totalitarians on free speech, and from this we get what I’ve referred to as the “Free Speech, but…” approach. It basically says “Well free speech is important, but you shouldn’t ever offend other people or their religion, etc.” This is crazy! You certainly have the right to offend other people and to criticize their religion or anything else they think. And yet, today we constantly hear that offending others is taboo. For example, Gary Trudeau, who is a cartoonist, himself, criticized Charlie Hebdo after the attacks in Paris for “punching downward” at a “disenfranchised minority.” That attitude is crazy when you consider that Islamists murdered eleven people in the offices of Charlie Hebdo. If there’s anyone doing the punching, it’s the people committing the murder, not the people who are drawing the cartoons. It’s tragic, but this is the prevailing attitude today, at least among intellectuals and opinion leaders. Government is also regularly attacking free speech. 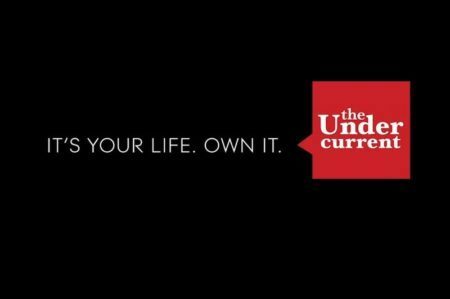 For example, Hillary Clinton wants to overturn Citizens United, which is a case in which the Supreme Court struck down a law that banned the distribution of a film that criticized her. Donald Trump wants to “open up the libel laws” so that he can intimidate the press with lawsuits. These are not exactly presidential candidates who embracing free speech. Lastly, students are abandoning free speech too. Today’s students are tomorrow’s intellectual and political leaders, our future lawyers, judges, etc. They are going to be making laws and they’re going to be the ones interpreting those laws to see if they’re consistent with the Constitution. If the trend of ambivalence and antipathy towards free speech continues, that will have a huge impact on our rights to free speech in the future. I fear that if things don’t change, by the time you and your fellow students are my age, we will have lost the right to free speech. We have to reach students and convince them to support free speech and reject the ideas that are attacking it. The other thing to recognize is that this affects the lives of students on campus right now. Campus is a place where students should be able to confront challenging ideas and feel free to discuss and debate with others. Thinking and learning are challenging and often involve questioning your previous ideas or views. It’s often uncomfortable, and it will sometimes “trigger” negative feelings. From an intellectual standpoint, there shouldn’t be such a thing as a “safe space” from ideas. You want to be confronting ideas, even the offensive ones. Almost by definition, anyone who comes up with a new, innovative idea will be challenging the status quo and almost always will offend someone! If we oppose offensiveness as such, in effect we are criticizing the growth of knowledge. So do you think this dismissal of free speech on campuses is just a phase? Or is it the beginning of something scary? I think it’s the continuation of something scary. It’s definitely a trend. It’s not just a phase; it’s not just young people being young people. When I was in college in the late ’80s, there was much less concern about taking or giving offense, there was no such thing as “trigger warnings” or “safe spaces.” I went to college just before “political correctness” became a thing on campuses. Political correctness is really a ’90s phenomenon, a term that symbolizes the culture of sensitivity. This is a different iteration of what is happening on campuses today. It’s an attack on reason as efficacious, that we can know the world and draw conclusions about it. It’s an attack on the pursuit of happiness, our values, and on our own individualism. It’s a logical consequence of multiculturalism, which is just another form of groupthink. When you consider the group more important that the individual, why would you pay any attention to the individual’s ideas? You’d be looking at the extent to which the individual simply reflects what the group already thinks. Not only is this anti-individual, it’s anti-reason. You can tie all this back to the various collectivist movements of the ’60s and ’70s, and it’s only grown since then. This is not going away anytime soon. This is a philosophical issue that needs to be addressed on philosophical grounds. Free speech is a value to all individuals and a necessary component to everyone’s right to pursue their own happiness and live the good life. How does free speech relate to the topic of the conference, free will? Free will is fundamental to human reason. It’s an aspect of how reason functions. We have the ability to choose our thoughts and our actions, and in order to think we must constantly focus our minds and make choices. Speaking essentially means speaking our minds, so it, too, is a matter of choice. But if you hold the view that people lack free will, then both thinking and speaking are simply automatic processes. They don’t lead to knowledge or communicate knowledge, and the individual’s choices in either case are irrelevant. People, under this view, are essentially driven by instinct or emotion, so freedom of thought is an illusion and freedom of speech a kind of game or a struggle for power, which is how a lot of intellectuals view it these days. If that’s true, why care whether people are free to say what they want? When they speak, under this view, they aren’t deciding what to say, they are just functioning automatically. So there’s no problem controlling what they say, since it has no moral significance for the individual. You can see this basic attitude at the heart of a lot of attacks on free speech. The attacks on free speech are often attacks on free will. Trigger warnings, microaggressions and safe spaces are examples of this. Why do we need trigger warnings? Well, humans are fundamentally emotional beings and are not really responsible for how they act. They can be set-off and triggered, or caused to cower in fear when confronted with words or ideas. They’re not responsible for their emotional reactions or the content of their own minds, and therefore we have to prevent them from even confronting these ideas. This is basically saying that people aren’t able to assess ideas themselves and are powerless over their own actions. The antidote to this view is to understand that you control your own destiny, not just existentially, but internally in terms of what and how you think and the emotions that result from those thoughts. You can control your own emotional reactions to things even if they are outrageous. Thinking, in essence, is how you protect yourself from bad ideas and bad actions. The people who attack free speech hold a fundamentally different view – it amounts to the view that human beings are no different from other animals and not in control of their thoughts, emotions, or actions. They just act automatically. You hang a piece of meat out to a wolf and it attacks; you make a loud noise around a dog or cat, and they just run away. Human beings don’t act that way. They can make choices, but if you deny choice and thought, you necessarily deny free speech. Two things: One, I want them to gain a perspective on free speech that holds that it is absolutely essential and valuable to their lives, that is, it’s good for them. We need to defend free speech as more than “it’s not a bad thing”. We need to defend it as “a positive value”, and we don’t hear that very often. That is what’s unique about the Objectivist perspective on free speech. As far as what people can do, and this will be something that we’ll be talking about at the conference, you need to speak up constantly and confidently in defense of free speech, and not be intimidated. Never back down in the face of opposition or intimidation. Other people taking offense at what you say is not a reason for you to shut up. In fact, it might even be a reason for you to talk more. The goal is not to be obnoxious, the goal is to be effective in communicating with people. The primary goal of free speech is not to offend people, it’s to pursue values. That said, offending people is sometimes unavoidable, and in a sense a good thing. Galileo offended the Catholic church. Darwin offended many people. 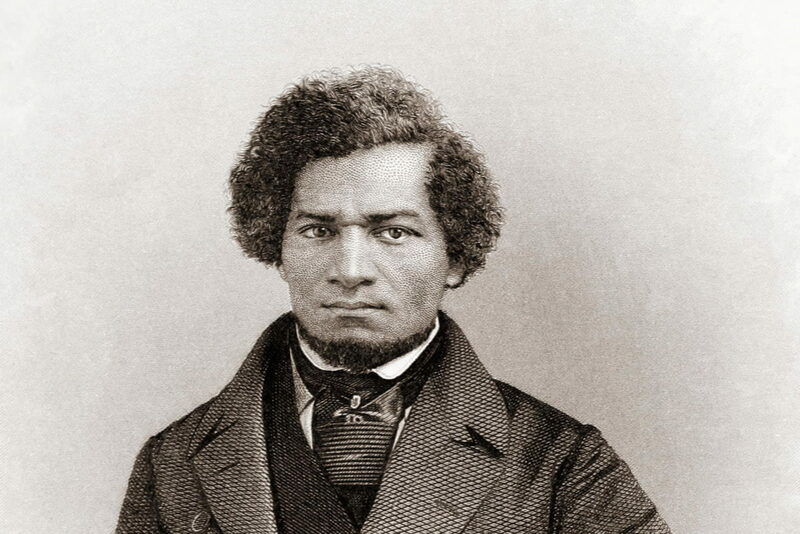 Southern abolitionists offended many people. Anybody with good ideas is always going to bother someone else. Offense is something we need to embrace at certain times, but it is not the ultimate goal of free speech. 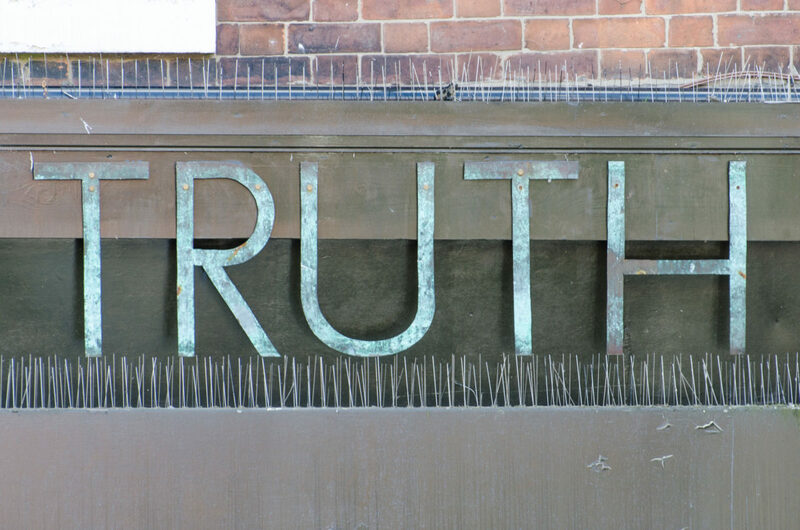 Speak your mind, speak the truth, and no matter what, don’t be afraid to do it. If you can boil down your ideas on free speech and free will into a few sentences, what would they be? Free speech is under attack and we have to defend it to maintain a free society. The way to do that is to embrace reason, self-interest and individualism. That’s the only basis upon which a free society will prevail. Everything that’s in my book, and everything that I will be discussing at the conference, can relate back to those simple statements.